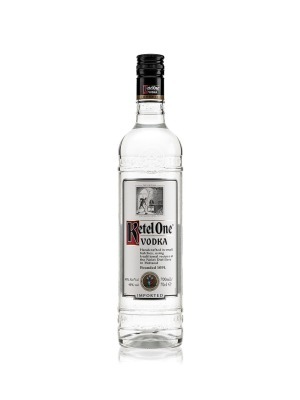 D1 London Potato Vodka is a popular Vodka available from TheDrinkShop in 70cl to buy online. Visit TheDrinkShop for the best price for 70cl of D1 London Potato Vodka or compare prices on our other Vodka products. Following on from their award-winning D1 London Gin, the D. J. Limbrey Distilling Company are expanding their high-profile range with the new D1 Potato Vodka. D1 is a superbly balanced spirit with aromas of buttery potatoes and sourdough bread with an earthy background. The palate brings out the sweeter notes with honey, sweet fig and salted butter notes leading into a creamy white chocolate finish with hints of Szechuan pepper. The bottle itself is a work of art. Jacky Tsai, the international contemporary artist, renowned for his distinctive floral skulls, has again fused Eastern craft and Western pop to create a unique and exciting design in which to show off this superb vodka. On its own or alongside the D1 Gin, this collection of D1 spirits is a statement duo for any bar. 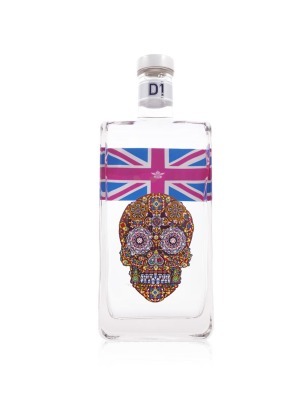 Where to buy D1 London Potato Vodka ? D1 London Potato Vodka Supermarkets & Stockists. You can buy D1 London Potato Vodka online in most retailers and find it in the Vodka aisle in supermarkets but we found the best deals online for D1 London Potato Vodka in TheDrinkShop, 31dover.com, and others. Compare the current price of D1 London Potato Vodka in 70cl size in the table of offers below. Simply click on the button to order D1 London Potato Vodka online now.